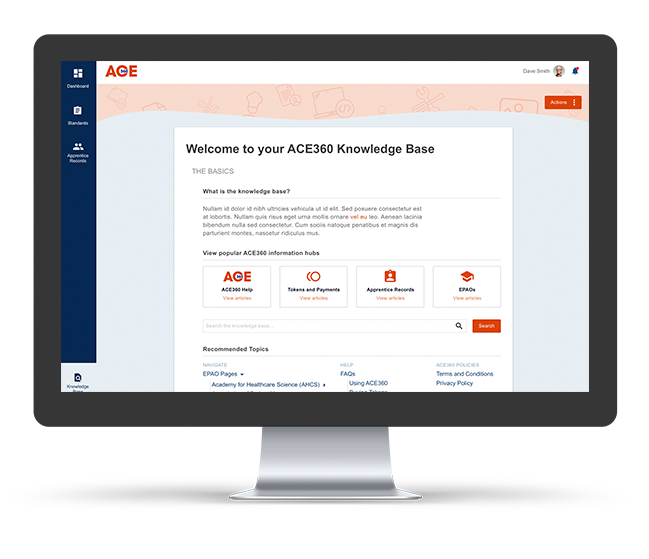 ACE360 can integrate with your existing Learning Management System and national databases, providing an integrated and accurate way to manage Apprenticeship delivery and assessment. ACE360 has been developed by the industry for the industry and is compliant with all relevant regulations and legislation. The system includes a database of all Apprenticeship Standards and is not restricted to specific sectors or Assessment Organisations. 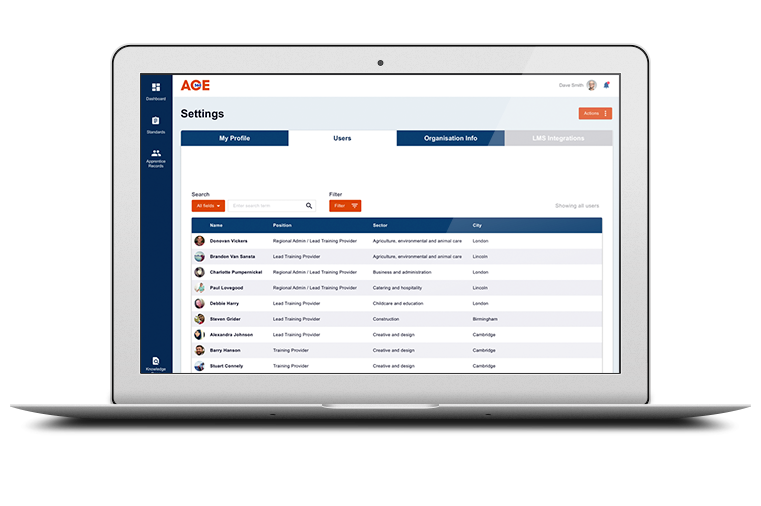 As an impartial third-party system ACE360 provides your organisation with a complete solution regardless of industry. 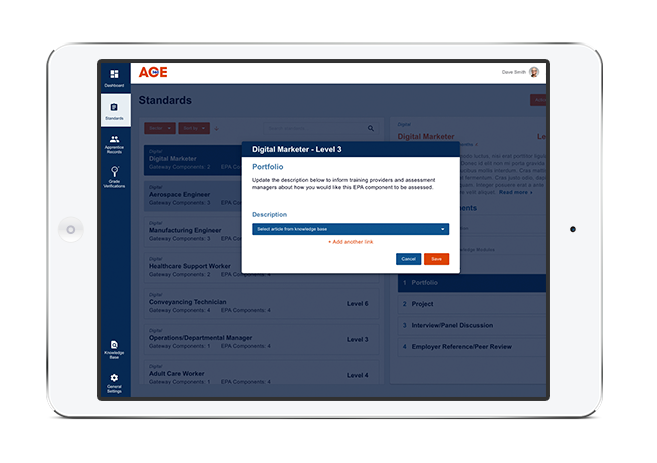 ACE360 has been created to cater for each of the different organisational roles delivering Apprenticeship Standards and is based around the concept of one central record for each Apprentice. By entering data once and making it available to view by multiple partners we have resolved challenges around re-keying of data and security risks associated with email. ACE360 tailors your experience to the role of your organisation, whether you are a Training Provider, Assessment Organisation, Quality Assurance Body or Employer – you will only see the information relevant to you. 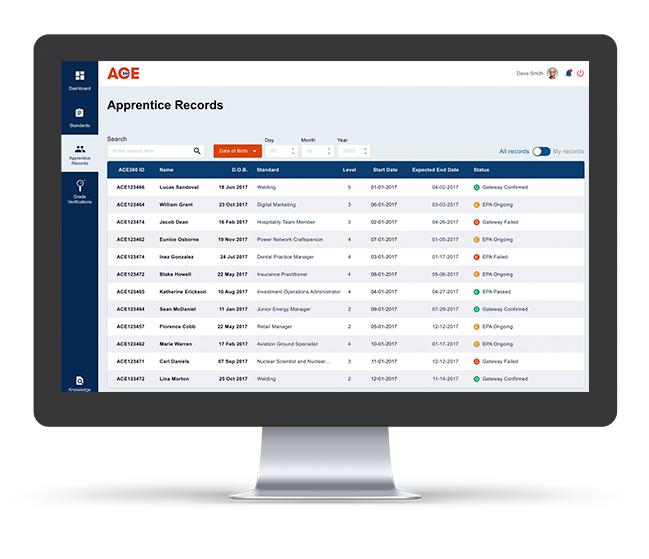 Your dashboard will clearly show you progress of Apprentices against the chosen Standards, and automatic notifications will be sent to partner organisations alerting them to gateway achievements and assessment outcomes. The system is hosted securely using cloud-based technology and is available to access remotely, enabling all team members to access shared records regardless of location. 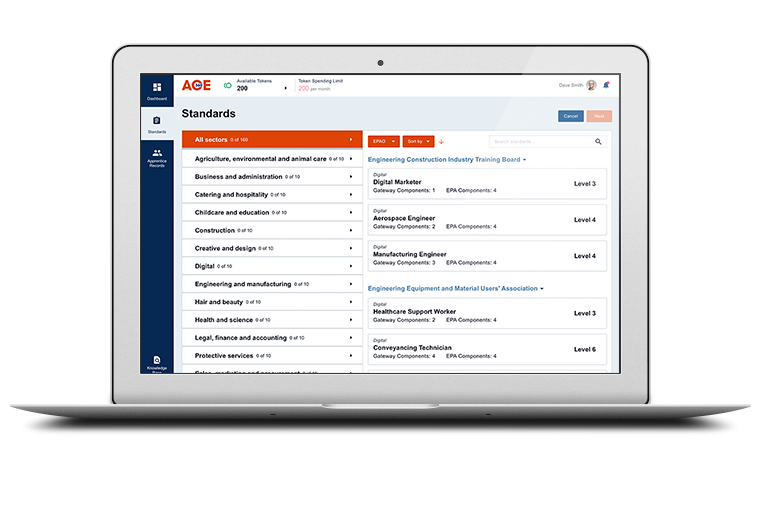 ACE360 is compliant with all relevant legislation including GDPR and industry standards. Our helpdesk is available to support you via telephone or email. As well as system support we can provide guidance on the Apprenticeship Standards processes. Our customers awarded us with 98% satisfaction rating during 2017.